Aquarist for decade with years of biotope research experience. One of the organizers of biggest aquarium and terrarium exhibition in South East Europe AkTer Fest in Zagreb. Biotope and aquascape judge in CAC 2014. Currently managing director in Aquatic Design, company specializing in biotope and aquascape aquarium design. Also, a consultant for biotope aquarium design in the region. Moderator and editorial board member at regional aquaristic forum. Winner of Biotope Aquarium Design Contest 2014 and 2013. Member of the jury of Biotope Aquarium Design Contest 2015. Famous aquarist and traveller with over 40 years of experience. Member of annual research expeditions around the world. He has visited more than 60 countries, where he has taken pictures of animals and their biotopes, as well as measured water parameters, lighting, etc. His experience is widely used for products research and development in JBL GmbH & Co.KG. Member of the jury of Biotope Aquarium Design Contest 2013, 2014 and 2015. Author of three books, the former Practical Fishkeeping and Pet Product Marketing magazine editor, and a former aquatic store manager, where he won 11 industry awards. He has collected fish in Sri Lanka and the Amazon, visited fish farms around the world, and judged competitions and fish shows. He judged the ADA IAPLC in 2012 and 2013 and gave seminars at AQUA 2013. 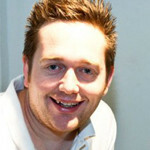 He is currently the Business Development manager for Evolution Aqua. Member of the jury of Biotope Aquarium Design Contest 2014 and 2015. Administrator of the Greek Aquarist's Board aquatek.gr, the biggest aquarium forum in Greece and Cyprus, specialized in biotope aquaria. The 1st and the 2nd place winner in the 1st International Biotope Aquarium Contest by Heiko Bleher in Athens 2012. Participant of all local contests. Keeper and breeder of rainbowfishes. All his aquaria are biotope. Member of the jury of Biotope Aquarium Design Contest 2013. Biologist, worked at the Zoological Institute of the University of Wroclaw. Aquarist and diver. 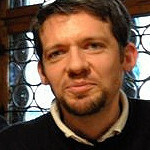 Author of films about nature biotopes. Co-founder of an Internet project Definite Aquascape TV. Member of the jury of Biotope Aquarium Design Contest 2013 and 2015. Aquarist since 1977 and aquascaper since 2000. He has won several national and international awards in aquaristic. 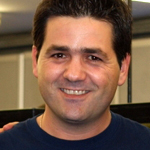 Founder of Aquabase Aquascaping (2003), pioneer of natural aquarium in Brazil. Technical consultant and business manager of ADA Brazil. Author and host of the TV show "Programa Aquarismo" on FishTV channel. Jury member of several international aquascaping contests since 2008. Participant of several expeditions on studying natural habitats. Decorator of biotope aquaria. 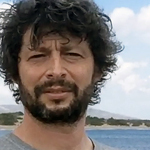 Member of the jury of Biotope Aquarium Design Contest 2014 and 2015. Traveller and explorer of nature biotopes of Russia and other countries. 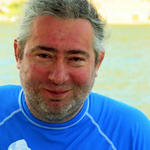 Author of online publications about aquatic life of rivers and lakes in Russia. Winner of JBL Biotope Aquarium Design Contest 2012. Silver prize winner of JBL Biotope Aquarium Design Contest 2011. Member of the jury of Biotope Aquarium Design Contest 2013, 2014 and 2015. Creator and administrator of the Facebook group Biotopefish. Researcher of wildlife found in Venezuela. Specializes in taking photos and videos of rare species. 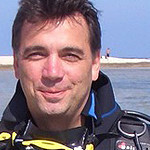 Author of documentaries about tropical fish in their nature biotopes. Founder and president of the Foundation of Fish of Venezuela. He now also protects continental freshwater bodies, including all kinds of aquatic flora and fauna. Member of the jury of Biotope Aquarium Design Contest 2013, 2014 and 2015. Aquarist for over 25 years. Actively interested in biotopes for the last 15 years, especially in biotopes of West Africa. Currently he maintains several West and Central African biotopes. He filmed freshwater aquatic habitats in Thailand. 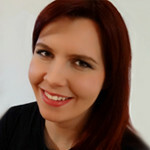 Creator and administrator of the Facebook group Mormyrid Keepers. Member of the jury of Biotope Aquarium Design Contest 2014 and 2015. Underwater photographer. He researched and filmed aquatic life of rivers and lakes in Taiwan. He studied freshwater goby and its natural habitat. Aquarist for decade, he specialises in breeding of rare species. He has years of experience in biotope and aquascape aquarium design. Aquarist and traveller. Tanganyika cichlids keeper. Owner of aquarium shop. In 2000 he made his first trip to Tanganyika Lake, to Mpulungu and to the border of the Congo. Since then he has been to Zambia and south part of Tanzania six times. In 2008 he went to Kigoma and in 2014 to Kipili area. He has now been to the Tanganyika Lake 16 times and has made over 750 dives during his trips. Professional aquarist and aquadesigner. 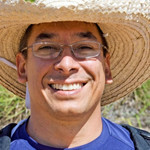 Author of a unique Internet project on the history of aquarium GlassBox-History.com , as well as the community in Facebook GlassBoxHistory - aquarium evolution. For 11 years he had worked at the Aquarium of the Dnepropetrovsk University, where a significant part of the exhibition is devoted to the fauna of the local water bodies. He decorated exposition aquaria by geographic regions. Author of articles and reports on the history of aquaristic and aquaria. He travels a lot around the world to visit public aquaria.